It’s difficult to say exactly how much money flows through the hands of bookmakers every year because so much sports betting is done illegally. However, it is estimated that up to $70 billion is wagered annually in markets that allow legalized sports betting. In 2015, a United Nations conference on crime was told that as much as $3 trillion dollars worth of bets were placed annually around the globe and that the overwhelming majority of that figure was attributed to illegal betting. Despite sports betting being less popular than other gaming options, a growing number of people are now betting on sports. Even more people are expected to get into it in the United States as individual states are starting to legalize it. This means a whole new generation of sports bettors. If you are new to sports betting then there are few things you should know that will help you avoid the many mistakes beginners often make. These five tips will help you stay in the game and, hopefully, help you profit. Adhering to a strict money management policy is perhaps the most important piece of advice that a novice sports bettor should follow. Managing your bankroll properly will allow you to easily absorb losses and cold spells, which are inevitable. There are a few different approaches that savvy sports bettors employ. Some stick to a “two percent rule” which is to say that they never wager more than two percent of their bankroll on a single bet. That means that if you deposit $100 into your favorite online sportsbook then you should be risking no more than $2 per bet. This might not sound too thrilling but it is an effective way to protect your funds and survive long losing streaks. So many beginners give in to the temptation of “doubling up” on their next bet and the losses quickly snowball. Another way that some more experienced bettors manage their money is by simply betting in levels. Maybe you have that same $100 bankroll. If your balance drops below $100 then you bet $2. If it exceeds $100 then maybe you increase the bet amount to, say, $5. If you reach $150 then bump it up to $7 and so on. The important thing is that you manage your money in a way that prevents you from making frequent deposits. Bonuses: Take ‘em or Leave ‘em? 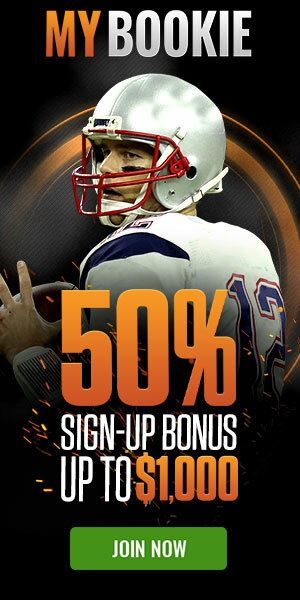 Almost any online sportsbook will offer you a seemingly awesome bonus. They’ll match your first deposit or even double or triple it. Make sure you read the terms and conditions that apply to any bonus you are considering taking. Many of these bonuses make it very hard for you to cash out any winnings because your original deposit and the bonus money become subject to ridiculous rollover requirements. While almost all bookmakers will have rollover requirements and other conditions attached to your bonus cash, some don’t place any conditions on your original deposit. It is imperative that you know what you’re getting into. A lot of novices will look at a -400 moneyline and think that it’s a sure thing. You need to understand what the risk is versus the reward. If you place a $10 bet on a -400 line, then you only stand to gain $2.50. That’s not a very good return although it’s possible that it will boost your confidence a bit. However, let’s say you lose that bet. Now you are down $10 and you need to win that same bet four times just to get your money back. An even costlier mistake that beginners make is placing a bunch of heavy favorites on multi-legged parlays. Beginners should avoid betting on heavy favorites and should certainly stay away from parlays until they are a little more experienced. Picture yourself shopping for a new pair of shoes. You see the ones that you are looking for and they are $119. Then you go across the street to another store and see the same pair for $99. Which pair are you going to buy? It’s really no different when it comes to shopping around for the best odds. With so many online sportsbooks out there, it is crucial that you find the one that offers you the very best odds. Why place a $100 bet on a team that is priced at -120 when you could place the same bet elsewhere for even money? Understand that sports betting is a grind and you need to take advantage of any edge that you find if you want to turn a profit. There are a lot of websites that a sports bettor can go to in order to find out who’s offering the best odds. It is highly recommended that you use them so that you can maximize your profits and minimize your losses. It happens in every type of gambling. A player hits a cold streak and the frustration takes over. They stop thinking rationally and go on tilt. This usually turns out badly and results in a zero balance in your betting account. You must be disciplined enough to maintain your usual bet amount or simply take a timeout. Choosing the latter option is the wiser choice. Don’t trick yourself into thinking “I’m due for a win” or “my luck’s going to change.” Definitely, do not talk yourself into betting your entire bankroll on the next play. Winning streaks are easy to deal with but losing streaks will test your mettle. Anyone who has bet on sports has probably thought about how cool it would be to make a living at it like Billy Walters or Frank Rosenthal did. Well, you have a better shot at getting struck by lightning twice than you do at becoming a sports betting prodigy. Your main goals as a novice sports bettor should be to learn the ropes, don’t go broke, and enjoy yourself. Always know when to stop.